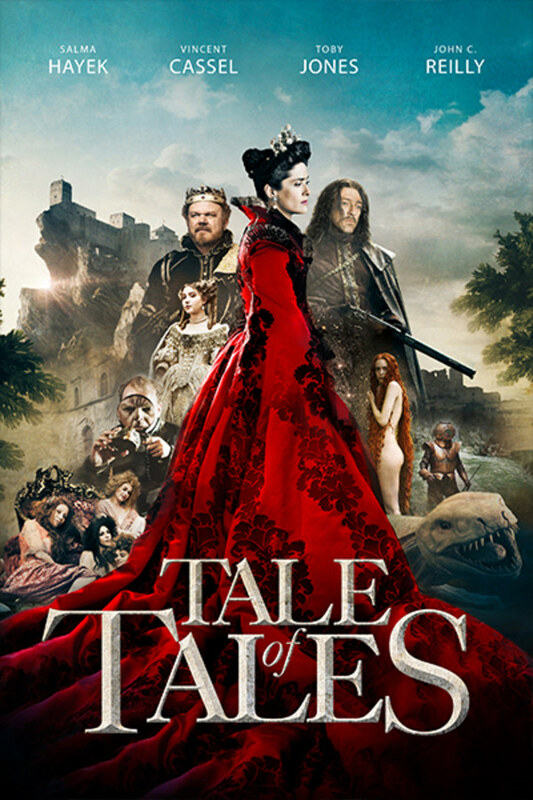 Inspired by the celebrated fairytales by Giambattista Basile, Matteo Garrone’s TALE OF TALES is an epic vision of cinema. From the bitter quest of the Queen of Longtrellis (Salma Hayek) who forfeits the life of her husband (John C. Reilly), to two mysterious sisters who provoke the passion of the King of Strongcliff (Vincent Cassel), to the King of Highhills obsessed with a giant Flea (Toby Jones) leading to heartbreak for his young daughter, these stories weave the beautiful with the grotesque, creating a stunning and unique work of gothic imagination. The film interweaves three separate story strands bookended by brief bits in which involves a street circus family, a jealous queen who forfeits her husband's life, and a king whose passion is stoked by two mysterious sisters. It was really different and I never knew what to expect after every twist. 3 dark tales collide to give us a unique experience. You will be a fan if you like unique movies. I've really enjoyed a lot of low budget and independent films...this is NOT one of them. There are 2 hours I will never get back and what a waste of money to produce this. I dunno about anyone else but I found it hard to follow at times. Other than that, it was a beautifully shot movie with sub standard acting. Dark enough to hold my attention for the full 2 hours, this one gets 4 skulls from me.